I know I’ve been reviewing horror movies for all of October but I didn’t actually watch any of them in October. I’ve finally watched my first horror movie this month! 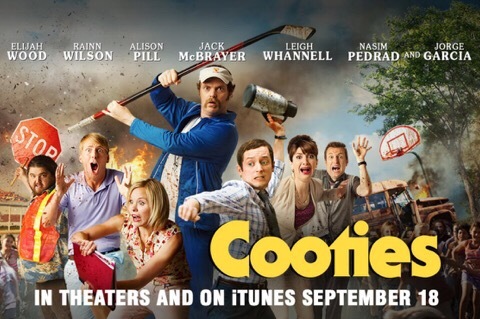 I watched Cooties on Thursday night. I have to say it was one hell of a disappointment, especially as it’s the only damn horror I’ve watched in quite a while. I’ll keep this review short. 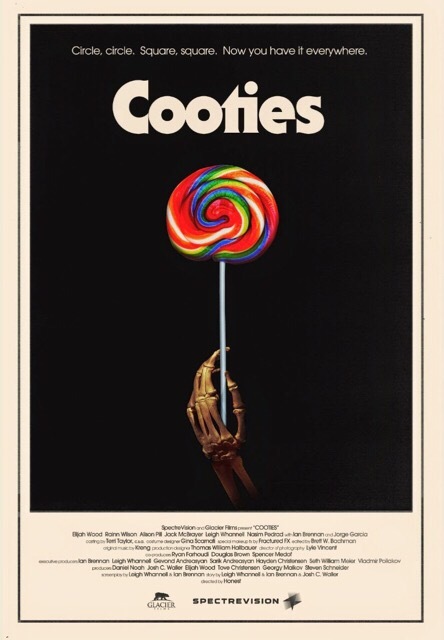 I love a good horror comedy (Yes, I did a Top Ten HERE). I especially love a good zombie comedy (as you’ll see on that list, I chose several ZomComs). ZomCom! I love that term. And I love that there’s actually a ZomRomCom with Warm Bodies… By the way – I know this is “virus” movie and not strictly a “zombie” movie. Whatever. It’s still a zombie movie. And possibly the weakest of all the ZomComs that I’ve seen. **Edit to say that I watched another horror movie after writing this review. I watched the Netflix adaptation of Stephen King’s 1922. I’ll be reviewing that on Monday followed by a review on Tuesday of Gerald’s Game. I’ll then do a few days of Mike Flanagan movie reviews before ending on the 30th & 31st with reviews of my two favorite horrors that I watched at home this year. Neither of those films are in English. You need to start making better horror movies, Hollywood!